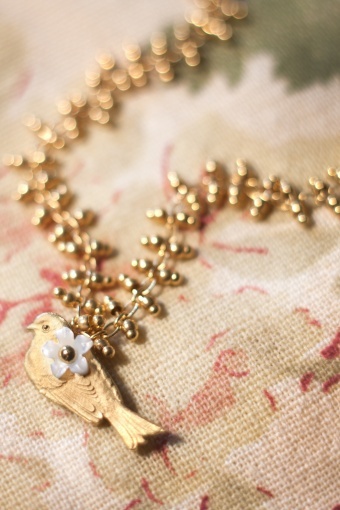 Handmade 40s Birdie Pearl Flower bracelet gold from Petra Reijrink, especially made for TopVintage! 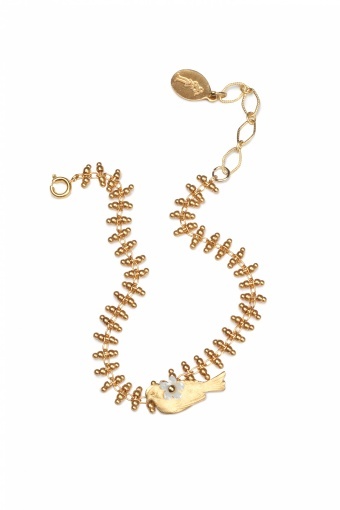 Delicate 40s vintage inspired gold-plated bracelet (nickelfree) with a cute litlle sparrow and a white litlle mother of pearl flower. 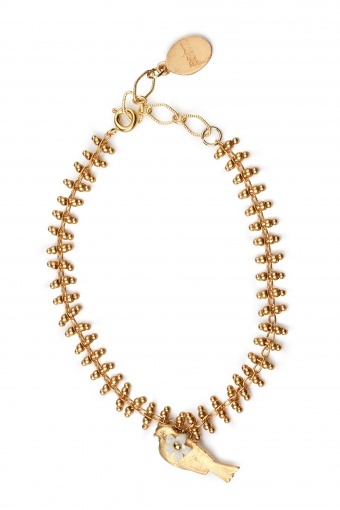 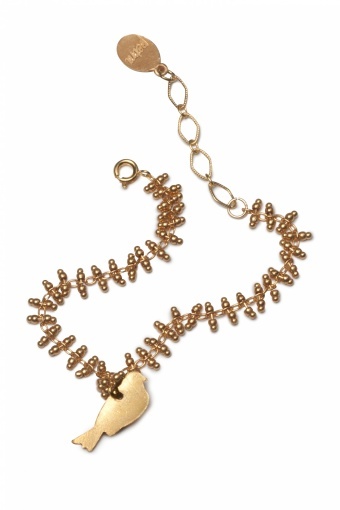 The chains of this bracelet are so pretty and the height of the bracelet can be adjusted.